I had used only half the paneer which I had prepared for the stuffed paratha and decided to make paneer burji. 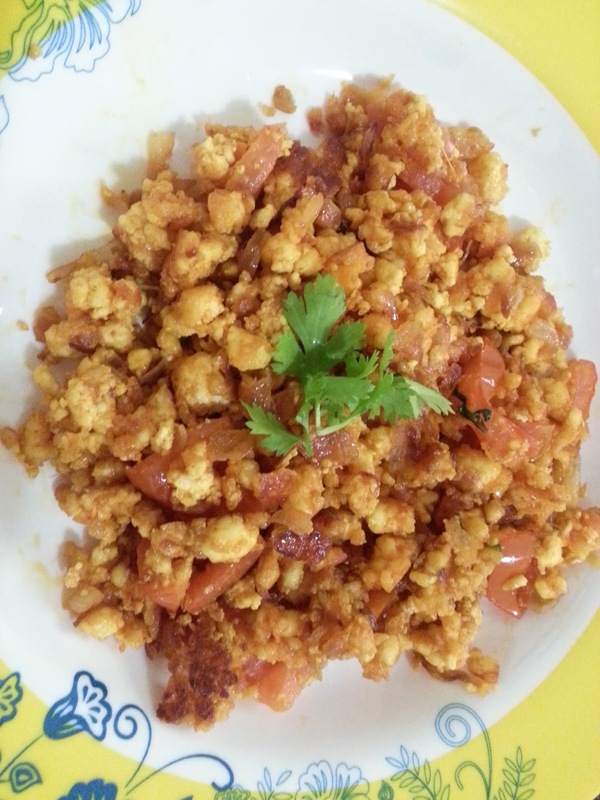 Paneer burji ie scrambled paneer tastes very good as an accompaniment to any type of indian bread and even dosa. It is very simple and very easy to prepare and tastes very good. 1. Use fresh or frozen paneer and crumble it. 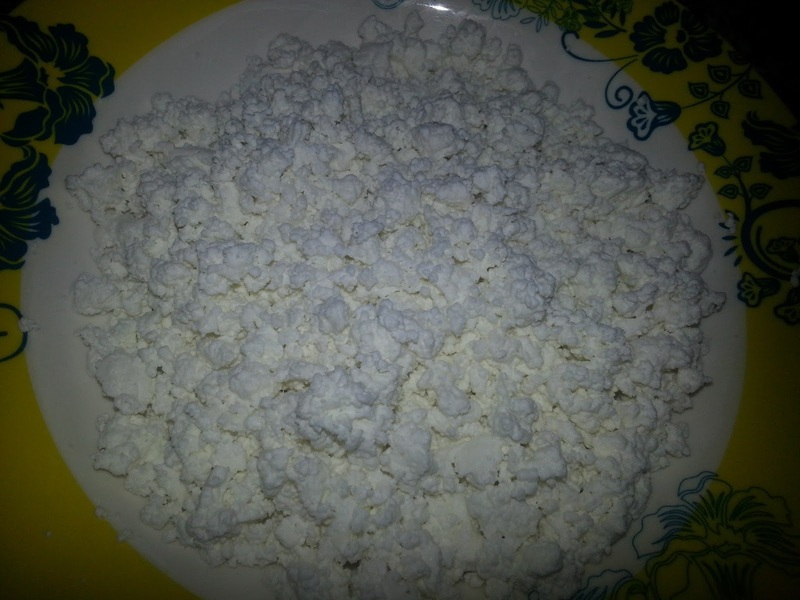 To prepare fresh crumbled paneer, refer to the instructions to prepare homemade paneer. After step 9, remove the paneer without kneading in to a bowl and it will crumble on its own. 2. In a cooking vessel heat oil. Add chopped onions and fry till they turn translucent. 4. Add red chilli powder, turmeric powder, coriander powder, salt to taste and any other spice if using and mix well. 5. Add chopped tomatoes and cook for a minute. 6. Add the crumbled paneer and cook on medium flame for about 10 minutes till well cooked. 7. Do not add any water while cooking. If needed reduce flame and cook.